A figure from the childish aspect that stings the finger toward the sky. In the sketches of the series "Moon", Eljsbert represents a different style of life in comparison to the "Guru" and to the "Shaken", without however to give sentences on the correct or wrong one. Gel pen on black cardboard, with frame included in the price and certificate of authenticity provided by the Gallery. Elisabetta Bertellini was born in 1973 and raised near Gonzaga by Mantova (Italy). She started her artistic career as a stage costume designer and fashion coordinator at the famous Sartoria Teatrale “La Scala” in Milan, followed by copywriting and broadcasting experience within the TV and cinema sector including advertising, to eventually express as an actual artist herself, today known as Eljsbert. 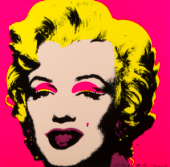 Inspired by her earlier career in the fashion industry, where she was creating her own collections of clothes and wear accessories on behalf of high-end Italian fashion houses, she ended-up producing animation subjects in the actual art field, which has since become her signature style as an artist to date. In time Elisabetta found scope and success also in managerial roles such as co-curator at the Milan gallery Deodato Arte, while simultaneously travelling around the world, particularly in Asia, mainly Hong Kong and Singapore, to exhibit at international art fairs representing a number of artworks from contemporary artists and of course her own ones too. 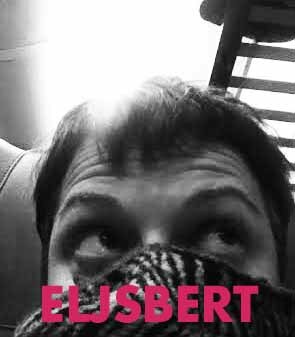 Elisbert currently lives between Italy and Switzerland and is presently working on new projects in connection with the expression of the human nature, the environment and the reality around us.